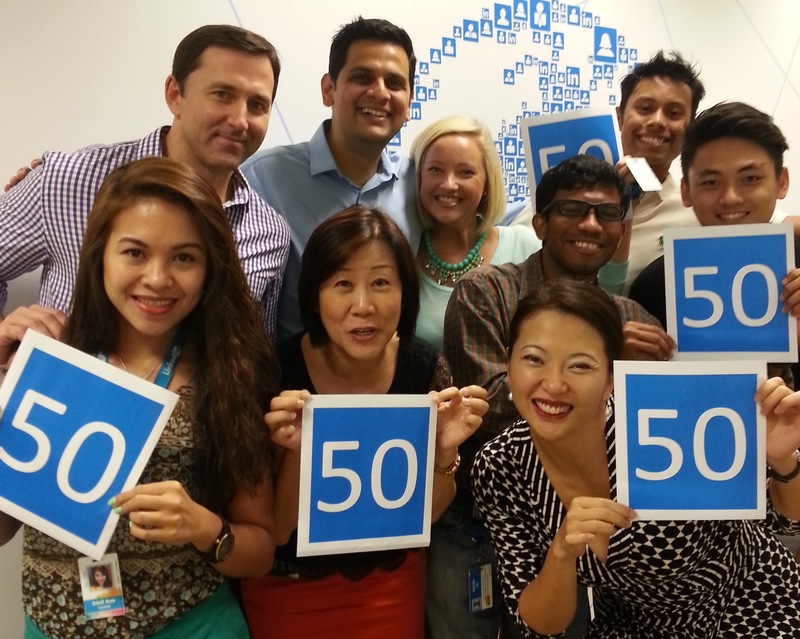 LinkedIn is 50 Million Strong in Asia, and Counting! I’m delighted to announce that we just crossed the 50 million member mark in the Asia Pacific region! As we celebrate this milestone, I am humbled by the success of our members who are using LinkedIn to build their professional identities, networks and knowledge, and whom we proudly serve. It’s remarkable that our member base across the region has nearly tripled in a span of less than three years. Last year, we welcomed 7+ million new members in India, while 2+ million new members joined our network in Australia and New Zealand. In Southeast Asia, our member base jumped more than 50% to reach 9+ million. Today, nine countries in the region have more than a million members each – India (24+ million), Australia (5+ million), China (4+ million), Indonesia and the Philippines (2+ million each), Japan, Singapore, Malaysia, and New Zealand (1+ million each). Our members represent a broad cross-section of industries across the Asia Pacific region. In particular, the top five industries on LinkedIn are IT & Services, Telecommunications, Oil & Energy, Banking & Financial Services, and Hospitality. As the region increasingly consolidates its position as a key driver in the global economy, our aim is to help professionals and businesses here become even more successful at what they do. Whether it’s expanding professional connections, tapping critical talent or marketing their brands and winning new businesses, we are excited to be able to help connect the dots and create economic opportunities for everyone. Diversity is a defining characteristic of this region, and it’s something we continue to address. For example, members can now choose between six Asian languages when engaging in professional conversations on LinkedIn, in addition to English. To enrich the professional knowledge available to our members, we also recently added to the growing list of Asia-based influencers. These influencers include Tony Fernandes (Group CEO, AirAsia), David Thodey (CEO & Executive Director, Telstra), Kiran Mazumdar-Shaw (Chairman & Managing Director, Biocon) and Nobuyuki Idei (Founder & CEO, Quantum Leaps, and Former Chairman & CEO, Sony). I would like to thank our members, clients, partners and employees for making LinkedIn a part of your daily professional lives. This milestone was only achieved because of your support. I am looking forward to growing with you as we introduce more exciting features on LinkedIn.